ACTEA Mission, the perfect balance between design and technology. Discover its extraordinary functional dynamics. The goal: to design a superior console. 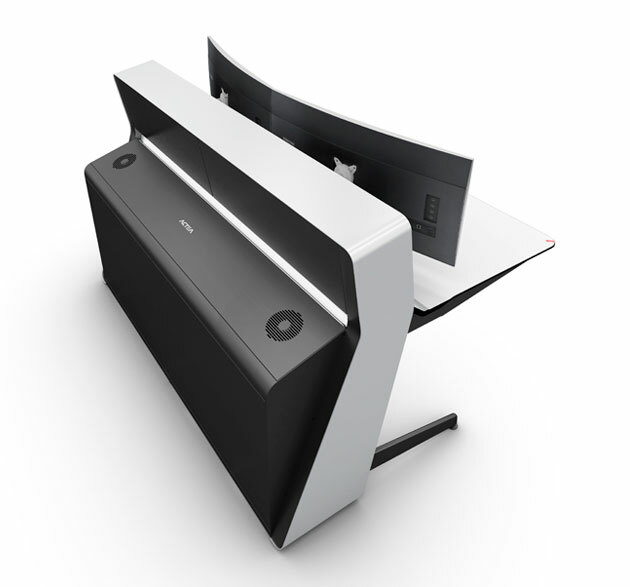 The new ACTEA Mission, a console capable of offering maximum ergonomics, is here. Perfect connection between functionality and aesthetics. Powerful ways to have a total integration of equipment and the capacity to adapt to any need. 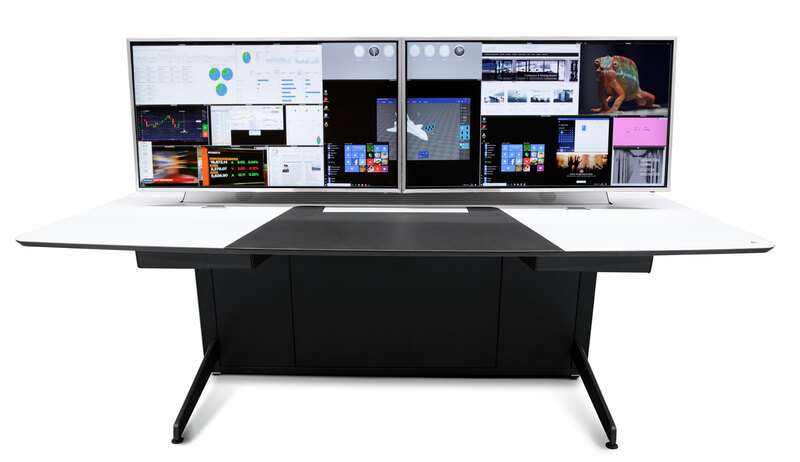 Our experience at control centres has enabled us to develop a new generation of KVM digital, DeskWall. The definitive union between console and a potent control system for the management, administration and control of equipment and data sources via a single keyboard and mouse. 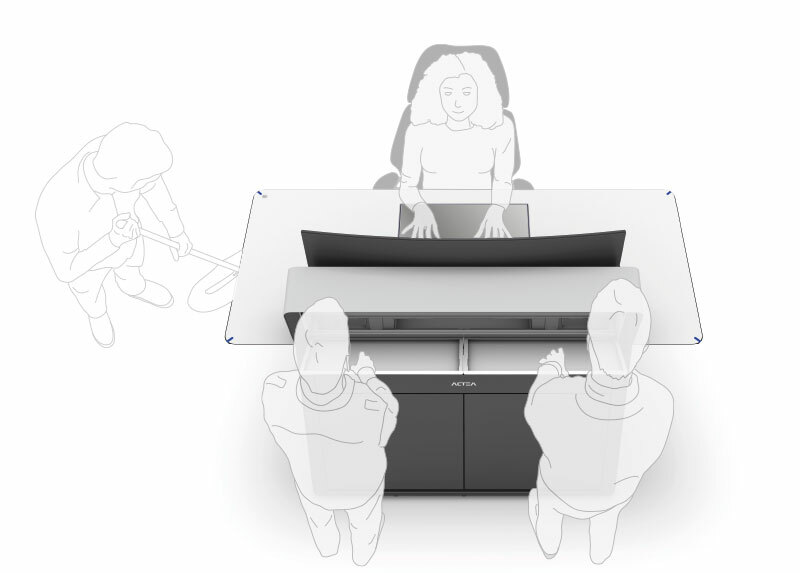 Discover the DeskWall experience in a completely customised way thanks to ACTEA Mission. We are changing the way that operators work across the world. 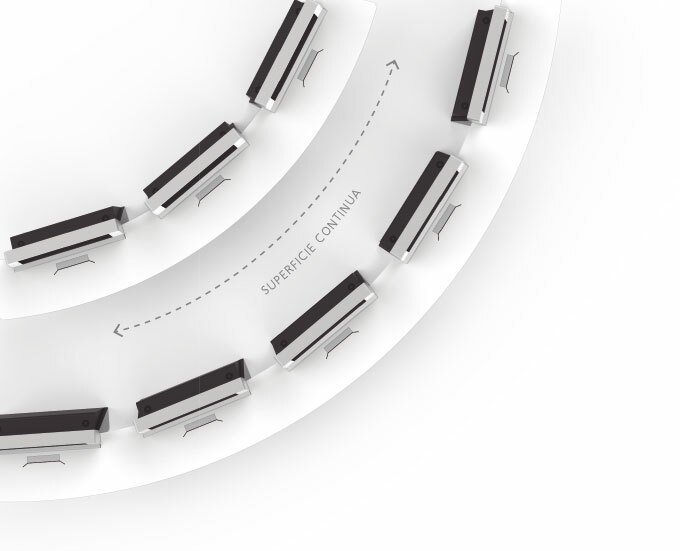 The AccessRail Mission solution enables full access to the settings of the audio-visual area from the operator’s station. Their design enables much storage capacity to be provided by optimising the space available to the max, in addition to control consoles that understand the elements they comprise and enable them to be connected simply between the upper and lower part. The vertical column system enables the optimal integration of equipment and cabling. The GESAB philosophy situates users at the centre of the action by developing control centres and healthy environments for any people who have to interact with equipment and facilities, thereby ensuring performance and health at work stations. All the new ACTEA Series consoles have the Sit & Stand elevation system that enables the operator to work at double height. Technology at the service of people to create secure and efficient environments. 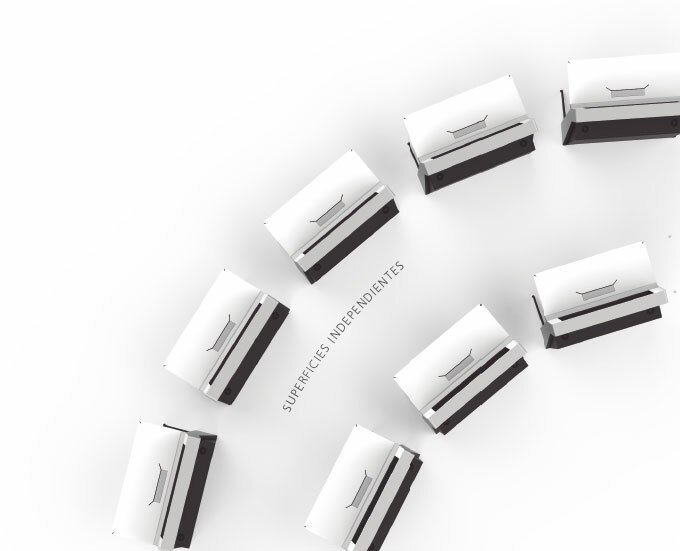 With ACTEA Mission and all the ACTEA Series consoles, there are no more barriers. Capable of adapting to any space, with no limitations, by playing with geometry, shapes and continuous or independent surfaces. 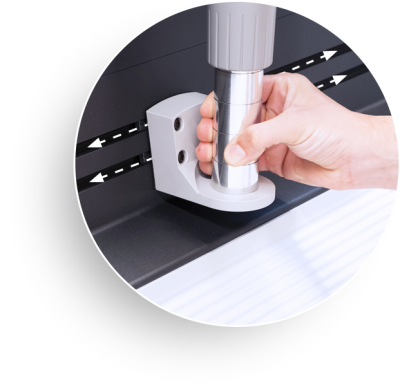 Thanks to new techniques, GESAB has developed new work surfaces that adapt precisely to different needs. We can play with the design of the consoles, where the limits are marked by the user, not the space or the product.